Chinese banks are wise to resist maxing out their credit cards. Lenders have issued hundreds of millions of them to local consumers, facilitating debt-fuelled shopping sprees. It's a lucrative but risky supplement to other types of lending, and some banks now appear to be pulling back. There are four key problems facing the Chinese economy in 2019 in the areas of real estate, micro, small and medium-sized enterprises (MSMEs), financial markets and zombie enterprises. The country is probably at a quandary regarding addressing these four key problems. The US trade deficit with China will reverse in the long term, Alibaba co-founder Joseph Tsai was quoted by US-based financial network CNBC as saying on Wednesday. The forecast may be beyond some economists' expectations, but it is entirely possible that his words become a reality. What are the implications for China resulting from Trump's World Bank presidential nominee? Former World Bank president Jim Yong Kim suddenly announced his resignation on January 7, with the resignation taking effect as of February 1. Since then, speculation has been swirling as to who will take over Kim's post. After Chang'e-4 lunar probe successfully landed on the far side of the Moon, there has been considerable discussion among the US scientific community as to whether the US should embark upon a new cooperation with China for space exploration. Pinduoduo's search for calm will go on. Even by Chinese tech company standards, the $31 billion e-commerce outfit, which pushes group discounts on everything from fresh produce to clothes, has had a volatile start, since it went public in July. A further $1 billion equity, raised on Friday, is a welcome step toward easing wild price swings, but ballooning losses, competition with Alibaba, and legal woes will continue to complicate matters. When Britain voted in the 2016 Brexit referendum, there were many in Chinese media who naively thought, “Well, that is a democratic decision. Britain will leave the EU.” However, critical issues in the West, as in other societies, are not decided by formal democratic processes but by power and money and the clash of powerful social forces. Therefore, the referendum did not resolve issues but unleashed the deepest British political crisis since World War II. Frankly speaking, I don't think the rapid decline in China's economic growth that started in the second half of 2018, will easily stop or even slow, although there have been an increasing number of indicators that are confirming an economic slowdown. The harsh deleveraging is believed to be one of the main reasons behind the cooling economy. It is of course, totally justified for the government officials to be worried about high leverage. 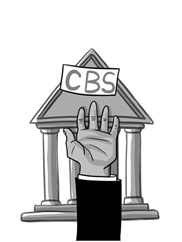 The debt-to-asset ratio of state-owned enterprises (SOEs) is hovering around 60 percent, but the real problem with SOEs' high leverage is that there are too many zombie enterprises that live on borrowed money but make no contribution to the overall economic development. Frédéric Oudéa needs a new name for his strategic plan, Transform to Grow. Given the Société Générale chief executive's admission that the French bank must restructure to stand still on shareholder returns, “transform to woe” may be more appropriate. Planned cuts to SocGen's misfiring trading hub will only go so far. A capital shortfall is a potentially bigger concern. US President Donald Trump's trade policy won't only affect China while leaving India unaffected. After sinking into the trade conflict with China, the US is reportedly considering a possible withdrawal of zero tariffs for India. China's stock market authorities have moved to solicit public opinion on a set of newly-revealed rules to manage the country's maiden technology and innovation board, at the Shanghai Stock Exchange. The government aims to shore up the country's sustainable economic growth, in the future, by facilitating the fund-raising ability of a rising number of technology start-ups. China doesn't want to engage in a technological cold war with anyone, not to mention the US, which is the global leader in science and technology. But if Washington pulls the world into a technological cold war, China will have no choice but to firmly fight back. With the US, Japan, India and Australia successively releasing their own “Indo-Pacific strategy,” the geopolitical competition in the Indian Ocean has gained growing attention and there has been much discussion about the position and role of the Indian Ocean in the geopolitical wrestling. Will China be the next Japan or South Korea? Economic development hardly has a universally successful model. An economic model that successfully catches up is not a model that maintains sustainable growth. The real difficulty is to distinguish whether it is necessary to alter the development model. Online shopping baskets in India are about to get lighter. Amazon and Walmart will be limited to operating a marketplace and prevented from acting as retailers under stricter rules which came into effect on Friday, resulting in products disappearing from the virtual shelves. The miscalculation on the direction of this policy could be very costly for these two global brands.